There is nothing new under the Sun. Life evolves in cycles. Good or bad, the inevitable results of every action can only be postponed for a limited amount of time, before they appear at the door of those who are responsible. After several crises which included messianic farces as “the return of the Christ” and other unfortunate events, in the year 1934 C. Jinarajadasa inaugurated a period of seven decades of relative stability, which led Adyar up to the year 2004. Then the knocking at the door got stronger again. It was in December 2003 that Dr. John Algeo, while still the international vice-president, published a collection of slanders against H.P. Blavatsky, making the public believe they were confessions written by H.P.B. herself. That was a karmic accelerator, since H.P.B’s powerful magnetism is that of an Initiate, and constitutes the primordial center of the movement’s aura. As a result of this, in 2007 Dr. Algeo was even more self-confident when he started his failed operation to promote an electoral “coup d’etat”. This time he aimed at overthrowing Ms. Radha Burnier (1923-2013) from the presidency of the Society. His failure was only partial, though, since the institutional crisis he created took roots and perpetuated itself. The power crisis provoked by Dr. Algeo was not deep enough to induce Adyar leaders to open the door to a more intelligent perception of the law of Karma and of Truth. However, no door can remain closed before the Law. The policy of misleading secrecy – inspired by a naive view of theosophy – has been the tradition since H.P. Blavatsky’s death in the 1890s. 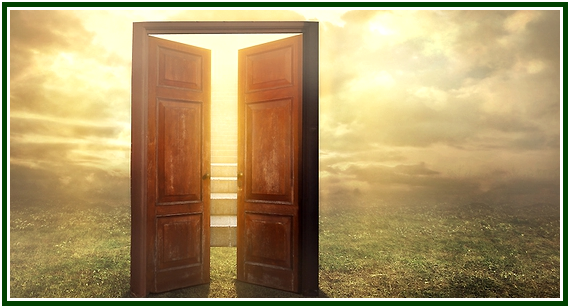 As a consequence, the knocking at the door – which occurs through facts – has been steadily increasing in energy. Since 2008, the very walls of Annie Besant’s Society are shaken. The old policy according to which truth must be accepted only as long as it is politically profitable has been no longer efficient as a means of controlling political power. The fact that Radha Burnier was the seventh international president means that she closed a whole septenary cycle from the point of view of the outer and bureaucratic shell of the Adyar movement. There is a spiritual vacuum, so to say, and the uncomfortable situation being faced by Adyar theosophists (and by members of other associations as well) is deeper than its political aspect. Why should independent websites discuss the power struggle and crisis at Adyar? Theosophy needs a probationary camp where people can consciously test the teaching in their lives and work. The theosophical movement constitutes such a magnetic field, and the importance of Adyar is undeniable for it. Some 80 to 90 per cent of nominal theosophists around the world belong to Adyar or are somehow linked to it. In a sense, Adyar makes or breaks for the outer movement as a whole. The exception to this is but that small, inner, intangible nucleus of workers whose vision transcends every outer form. Besides, transparency is truthfulness: an honest dialogue and the sincere examination of one’s premises and viewpoints are important factors if we want to have any clear visions about the movement’s future. Karmic chains of action and reaction follow similar patterns in mind and in nature. The anaerobic decomposition of organic pollution in the waters of a stagnant river stinks because of the absence of oxygen. Aerobic decomposition in a moving river does not have a bad smell because of the abundant presence of oxygen. At the mental level, truthfulness is oxygen. It allows people to see through the waters. It makes life possible in rivers and in minds. That’s why the motto of the theosophical movement states the simple fact that there’s no religion (or politics) above truth. Life is imperfect, but it can be improved as long as there is open-mindedness and good faith. Theosophists must be able to discuss their problems openly – or they will be slaves to deceit and jesuitry. Organizations use to get self-protective. Their leaders often think they can protect them through imposed silence, but the tactics can’t last long. The life of the movement must be inevitably discussed on the basis of a shared respect for truth and for common duty. It is also not practical to say that the Adyar crisis is limited to Adyar members. It is too late for that now. Any apparent walls between this and that theosophical association are illusory. Beneath appearances, the theosophical movement is one. Theosophical leaders must overcome political fear. The logic of organizations is not the logic of truth, and one must make a choice between the inner life and the outer shell of the movement. Just before the World Congress of the Adyar Society in Rome in July 2010, Ms. Betty Bland, who then presided the Society in the United States, organized an informal meeting with some members of the General Council, the assembly of general secretaries or presidents in each country. Ms. Bland discussed things over with the leaders of Adyar in France, Germany, Sweden, South Africa, Finland and Portugal. The group decided to officially question the validity of Ms. Linda Oliveira’s election as international vice-president, which had occurred on October 29, 2008. Meanwhile the political opposition, led by the seven national secretaries from Western countries, was preparing at least one candidate to vice-presidency and, in the future, for presidency. The candidate was Mr. C. V. K. Maithreya, who belongs to a traditional family of Theosophists in India. Mr. Maithreya has links to the Theosophical Order of Service. Ms. Betty Bland, Ms. Kim Dieu (president of the European Federation), and Ms. Susan Kachula (TS president in South Africa), were among the most active opposition leaders between 2008 and 2010. In 2011, the strength of the opposition was already not enough to obtain any short term victories. Opposition leaders probably wanted to strengthen their positions with an eye to the future. It was a well-known fact that some Adyar leaders consider their masonic rituals to be far more “occult” than their Society. Not many years ago, John Algeo provoked and organized the first split of the “theosophical masonry” since Besant time. Dr. Algeo had the blessings of Mrs. Burnier to play a central role in that split, an event which is undoubtedly connected to the astral aura of Besant’s Society. Ritualism involves a great amount of elementals, most of which are harmful to true theosophy in the present cycle, as H.P.B. warned. The division of the Masonic aura in the Besant Society had to have karmic consequences involving elementals, perhaps elementaries; and now the same team responsible for the ritualistic split seemed to feel tempted to provoke the division in the “outer body” of the Adyar Society. There is a karmic link, therefore, between the split of the Masonic Order “Le Droit Humain” made years ago and the 2007-2011 risk of splitting in the Society. What was then, one might ask, the real depth of the 2007-2011 crisis? The popish authority that every International President had since Annie Besant has been destroyed for good. Seen in its aspect as a top-down and authoritarian power structure, the Adyar Society is undergoing a silent implosion, which got accelerated after the death of Radha Burnier in 2013. The fact that the implosion occurs in a gradual way is not enough to make it possible to prevent it. The root-cause of the phenomenon is that the false notions at the basis of this power-structure are no longer valid. From 2014 on, the good law of karma invites the leaders of the Adyar Society to open their eyes and look beyond any short term power struggle. They have the time to do that. They will need the courage to face the underlying facts, and to take steps along the path that leads to an open dialogue and to real theosophy. Otherwise the spiritual and ethical paralysis will remain the same. For Radha Burnier, it was easy to see that ritualism had no future. Since 1980, she made an effort to renew the Adyar Society by adopting Jiddu Krishnamurti’s teachings as her main reference. At first, things seemed to go well: problems started by the mid-1990s. The real and ultimate obstacle, though, was the conceptual framework. Krishnamurti tried to get rid of ritualism and pseudo-theosophy by abandoning theosophy as a whole. Talking about a vague “pathless land”, he rejected the main theosophical concepts, including the ideas of law of karma, reincarnation, adepthood, discipleship, paramitas, esoteric tradition, and even ethics. His followers were led to a dead end. Ms. Burnier, it must be said, was an honest woman. She was a devoted theosophist and an able thinker who deserved utmost respect from everyone. She did her best at all times, and did well in many aspects. She was finely intuitive and had a pure, noble heart. She tried to make a synthesis between Krishnamurti and theosophy. Yet the traps created by Maya are tremendously complex during the present cycle. She did not know how to go beyond Adyar’s popish structure. By adopting Krishnamurti, Ms. Burnier was in fact unconsciously giving up Theosophy into a great extent, and losing connection to the center of the movement’s aura. It is clear by now that the thesis according to which “Krishnamurti is the avatar, after all” has failed. To adopt Krishnamurti was a too timid attempt to get rid of the Besant period. It didn’t work. The number now grows of those who can already see that access to the only sane future available to Adyar Society depends on getting back to real Theosophy. However, it is not enough to get rid of the books written by A. Besant and similar authors. It is also necessary to get rid of the power structures created by those false clairvoyants of the period 1900-1934. Such structures are based in “masonic”, “liberal catholic” and “esoteric” ritualism and dead letter. They are also popish in every sense of the word. Krishnamurti is no theosophical solution to the problem. Common sense points to the alternative: there is no need to let another century pass by before getting back to the original lines set by HPB and her Teachers. It is necessary, though, to understand what is the actual meaning of the expression “getting back to Blavatsky”. To go “Back to H.P.B.” is not the same as traveling back in time. It is not making an effort to know by heart every word written by H.P.B. It is not repeating always the same quotations from her books. Getting back to Blavatsky is in fact getting forward and rescuing Theosophy as a living factor in the everyday life of the theosophical movement in this century. That includes actively challenging the different forms of organized ignorance wherever they are. It is the movement’s dharma to openly discuss the mistakes of exact Science, Religion, Psychology, Sociology and Philosophy. The movement must teach the principle of universal brotherhood in a way that makes it not only understandable to millions of people around the globe, but also invites each individual to try and live up to it. Of course, the inner dimension of the movement cannot be ignored. Its real vitality depends on the Few whose sole aim in life is to work for the good of mankind and who thus forget their own lower selves. H.P.B. and the Masters never made a secret of that condition. The movement has several levels of consciousness: in order for it to have an inner life, it needs a certain number of people who are sincere aspirants to discipleship, and who, if still members of the Adyar Society, must be free from the delusional garbage accumulated under the leadership of Annie Besant. That mental and astral material is toxic and must be removed with care. Its magnetism has dire effects which now are getting more visible than ever before. Masonry, Krishnamurtianism and the pseudo-theosophical version of Catholic Church are old bottles. So is the popish view of the theosophical movement. As to the philosophy taught by H. P. Blavatsky, it is as brand new today as it was in 1891. The weight of the responsibility over the future of the theosophical movement belongs to those hundreds and thousands of anonymous students all over the world who make a daily effort to expand their antahkaranas, the bridge with the higher self. That expansion is impossible within the conceptual framework still adopted by Adyar leaders. During its first years and up to 1891, the basis of the movement was created so as to be responsive to its original magnetism. Each time it is misled by illusions, it takes some time for such mistakes to destroy themselves, before room is opened again to the essential Dharma of the movement. This happens through natural karmic processes. The non-corporative view of the movement as expressed in the 1909 Declaration of the United Lodge of Theosophists is quietly influential and belongs to the movement as a whole. It constitutes a true key to the future. It inspires the Independent Lodge of Theosophists and many a self-responsible student around the world. Simple as it seems to be, that Declaration is a powerful description of the original lines of the movement as they were established – not by H.P. Blavatsky, but through her – by Those who know. This sentence belongs to the full text – never published by Adyar – of the “1900 letter to Annie Besant”. Part of the text is published as Letter 46, first series, in “Letters From the Masters of the Wisdom”, TPH, Adyar, 1973, pp. 99-100. Its full text was published at “Theosophical History” magazine, London, October 1987, pp. 116-117. It can be seen at our associated websites under the title of “The 1900 Letter From a Mahatma”, and having as name of author “A Master of the Wisdom”. The letter anticipates the whole cycle of pseudo-theosophy at Adyar, including the “death blow” to it. Annie Besant then adopted the easy and wide way of ritualism and delusion. She failed to see that Theosophy is inseparable from Ethics. Whenever loyalty to truth is abandoned, the teaching becomes a mere collection of empty words. From that moment on, the teaching can be changed at will according to short term and selfish goals. “Quest” magazine, Wheaton, USA, Fall 2010 edition. The above article was first published on October 18th, 2010. It was updated in 2017. Helena P. Blavatsky (photo) created the theosophical movement in 1875. Those who want to have access to a regular study in the classic, intercultural theosophy taught by her are invited to join E-Theosophy e-group at YahooGroups. This can be done by visiting https://groups.yahoo.com/neo/groups/E-Theosophy/info.